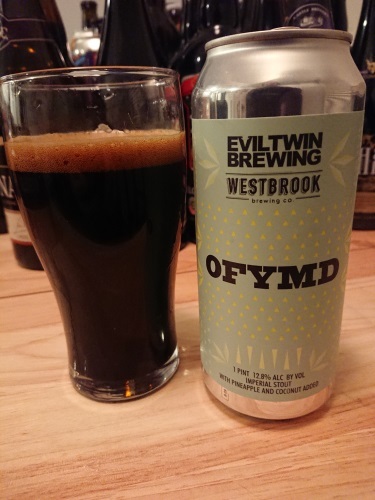 OFYMD by Westbrook Brewing Co. Pastry meets tiki - A pina colada style stout featuring pineapple and toasted coconut. Collaboration with Evil Twin.